My first step on the path to dental school was a confusing one. I was about as disoriented as I was the first time I assisted in clinic. I returned home from a two-year mission with my church and decided to start school again. My undergraduate university had just combined departments and, as a result, had gotten rid of all official pre-health academic advisors. Fortunately, I had a dad who was a dentist and could at least give me the basics, but I essentially had to figure everything out on my own. Eventually I made my way through the process and was accepted into dental school, but I can still remember the anxiety and distress that I felt while getting here. For this reason, I wanted to provide some sort of road map or compass to help other pre-dental students orient themselves on their own voyage to dental school. 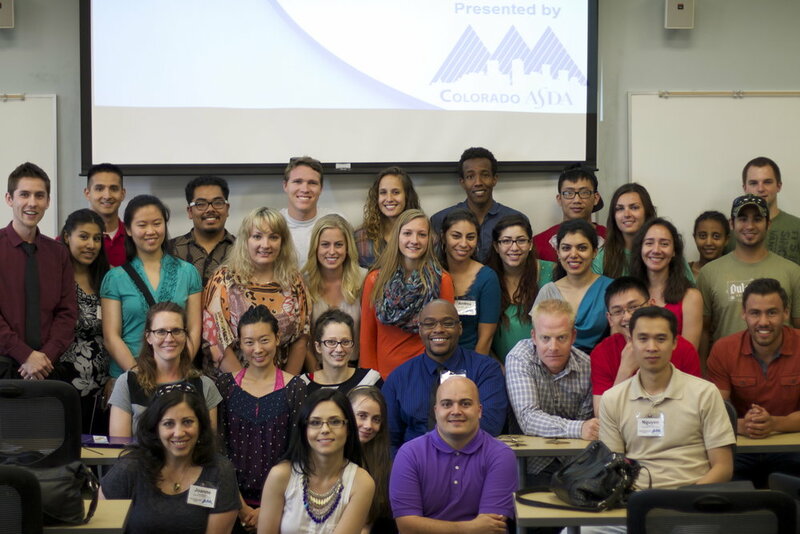 And so, with help from Dr. Samantha Moreno and former ASDA Pre-Dental Chair, Ryan Gonzales, Colorado ASDA's Summer Pre-Dental Academy (DSB101: Dental School Basics) was born. This program was modeled after Harvard ASDA's Pre-Dental Lecture Series, but modified to what I felt were the most basic and essential topics that a pre-dental student would need in order to successfully apply to dental school and complete their first year. 40+ students sign up and over an 8 week period, we were able to cover everything from DAT prep and an AADSAS walkthrough to dental waxing, drilling, filling and more. As an added bonus to the students, Christian Piers lead a workshop on personal statements, Ryan Gonzales lectured on Pediatrics, and Christina Pham gave an overview of Oral Surgery. Because of these individuals and the many other volunteers throughout the weeks, our first Summer Pre-Dental Academy was a huge success. Organizing and teaching this pre-dental course was such a great experience for me and I would like to thank everyone who helped make the Summer Pre-Dental Academy possible. We could not have done it without you!